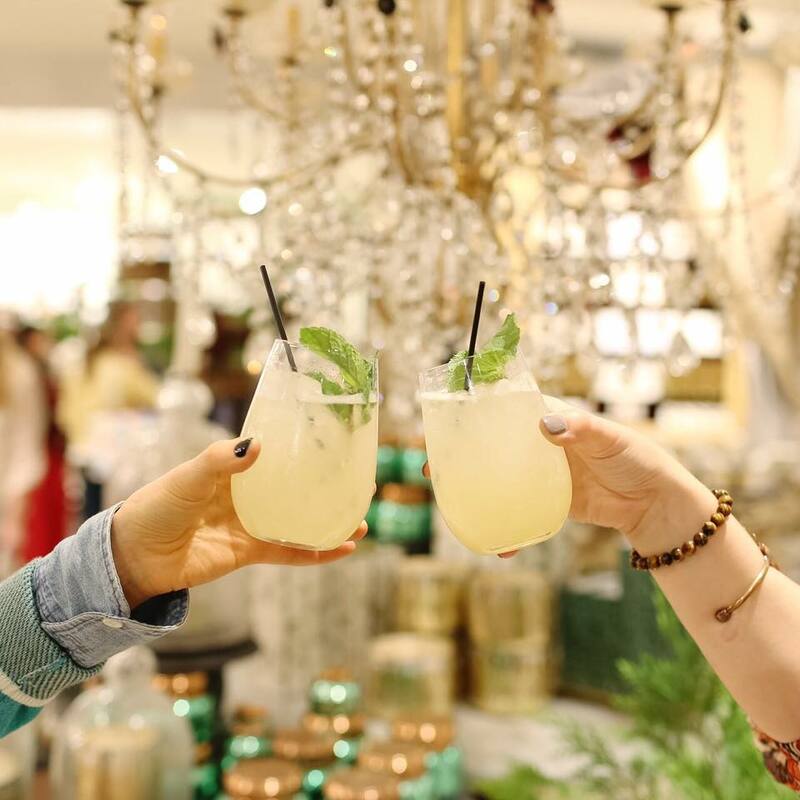 On Thursday, October 13, Anthropologie, Free People, Urban Outfitters and Pizzeria Vetri celebrated the opening of their new retail spaces in the Pavilion at the King of Prussia Mall (just outside of Philadelphia, PA), one of the top producing malls in the country. Hundreds of people came out to the preview event and enjoyed different activities at each store location. 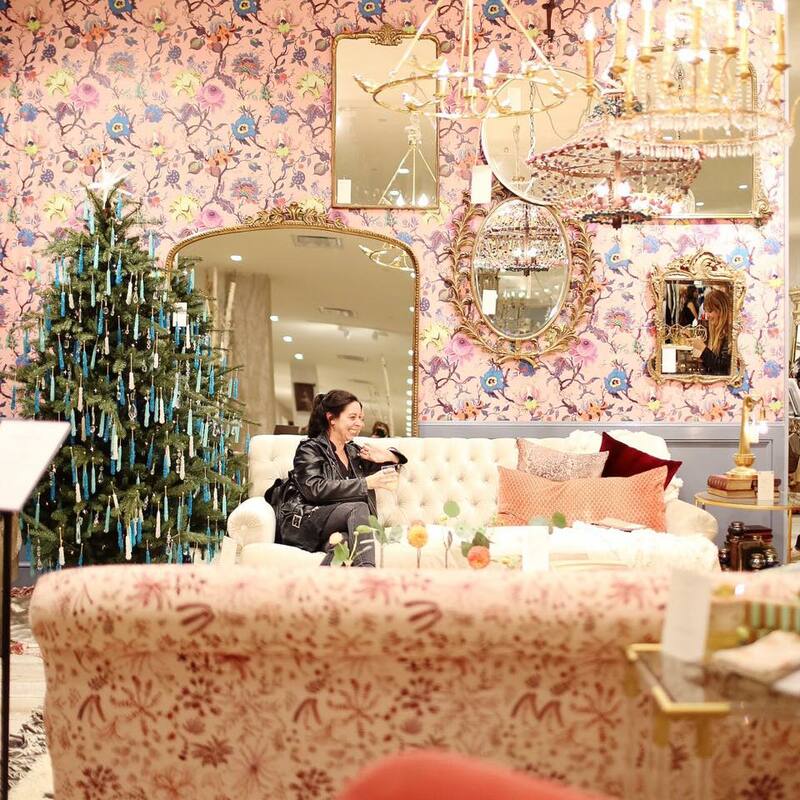 At Anthropologie & Co., guests enjoyed a photo booth, a beauty bar, hors d’oevres and giveaways. Free People had word weaving mantra readings, an elixir and eye bar, vegetarian bites and a free aloha bag with any purchase. 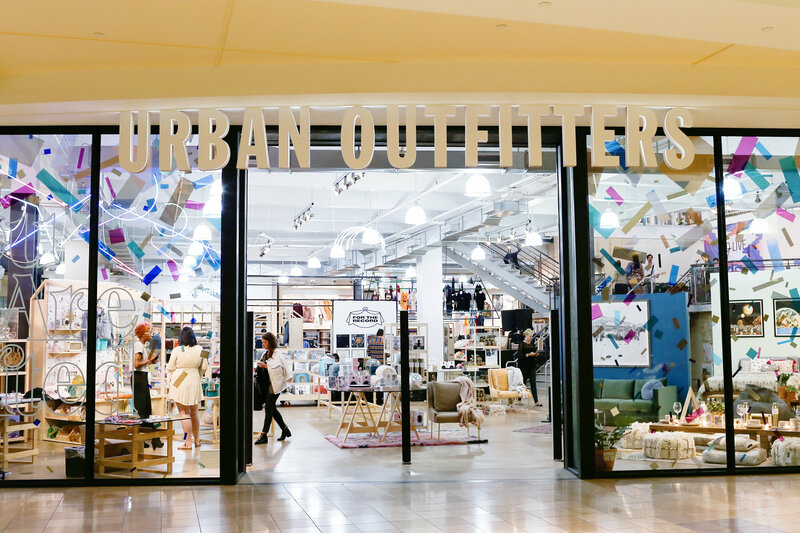 Urban Outfitters had a virtual reality station featuring UOTV's first-ever 360 video, a snapchat scavenger hunt, men’s grooming area and live performances from Japanese Breakfast and Hoops. Pizzeria Vetri had complimentary screen printed t-shirts and delicious pizza samples. King of Prussia is the only location where all of our brands are co-located next to one other, creating a one of a kind shopping experience. Check out what’s unique to each store in the details below. Anthropologie & Co.: the first Anthropologie & Co. store of its kind on the East coast, which at roughly 20,000 square feet, is nearly three times the size of the average store. New features include a home furnishings showroom, beauty boutique, shoe & bag salon and intimates shop. It also offers expanded categories such as home, apparel and accessories, with exclusives throughout the assortment like fine and handcrafted jewelry, as well as décor and accessories by local artists. Free People: this location is the largest store to date and is the first store to carry FP Beauty & Wellness. The store will carry fall must-haves from denim, knits, sweaters and jackets. Intimately FP, Free People’s intimates line, is on location as well as an assortment of shoes. A selection of FP Movement, the brand’s active wear collection, is also available. Urban Outfitters: this store has been expanded and fully renovated to offer customers a truly experiential retail environment. New features include an expanded tech and music section, a new home department with a larger textile selection and new designs in home furnishings. The expanded women’s department features even more options, including a fuller shoe assortment. A new UO Beauty Shop provides the a well-curated selection of both niche and leading beauty brands, including UO-exclusive products from Milk Makeup. 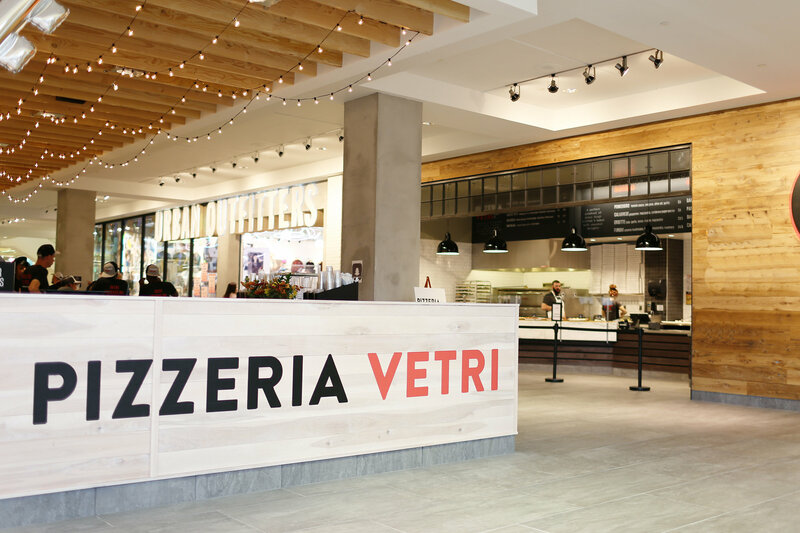 Pizzeria Vetri: centrally located among all of the URBN stores on the second floor of the Pavilion, this location will specialize in Pizza al Taglio, inspired by the traditional Roman square pie, with an expanded menu of the signature Rotolos, seasonal salads, dessert Pizzettes, a Southern-inspired gelato created in collaboration with Chef Kevin Sbraga, as well as wine and beer. Counter service is available and the open seating area can accommodate up to 60 diners.